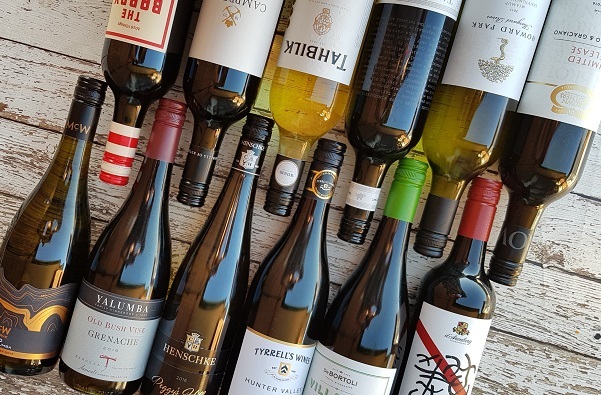 I was recently sent a box of Australian wines courtesy of Wine Selectors, a wine subscription company which sells wine from over 500 Australian producers, of bronze medal standard or higher. The pack I received was from their Australia’s First Families of Wine Favourites Mixed Collection, and this has given me the perfect opportunity to finally research and write about matching Asian food with wine. Using that as my starting point, I further read up on some broad guidelines about the types of wine that work best with specific Asian cooking styles and ingredients. 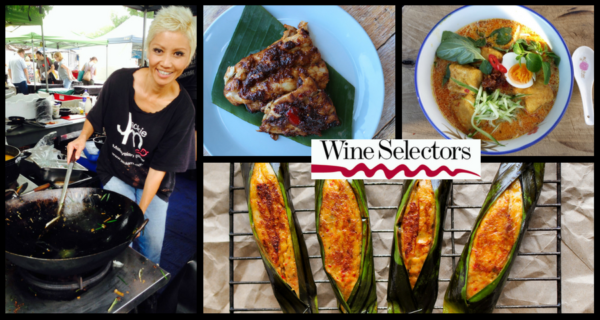 I’ve collated all the information and compiled it below for your easy reference; next to each bottle of wine, I’ve made hypothetical pairings with some of my favourite Asian-style dishes, the recipes for most of which can be found on this website. Smooth and silken, flavour-laden and spicy with layers of black, blue, red and purple fruits, spicy, lively acidity and fine tannin persistence. Dense, dark and full-bodied with a brooding mix of currant, prune and anise characters along with a beautifully balanced texture and mouth-feel. Mouth-filling, silken richness with a deep, chocolatey core, velvety flavours and great structure. It shows Rhône-like power and although dense, retains elegance and delicacy. Powerful yet with a degree of elegance, it has a strong mix of black fruits, fine touches of spice and crushed leaf, fine tannin depth and drive and plum pudding-like persistence. Beautifully textured, savoury and layered with a refined yet intense core of fruit, zesty acidity and perfectly-judged oak in support. Waxy-soft with sublime, mouth-filling flavour and beautiful umami. Quite deep and textural with earth and truffle complexity and light vanillin oak. Displays distinct Pinot character and charm with the potential for further development. Richly flavoured showing quince, grapefruit and subtle honey flavours, crisp, minerally acidity and a generous finish. Unmistakeably varietal with very strong herbaceous notes adding to the rich core of fruits balanced by minerally acidity and finishing with lingering tropical fruit persistence. Full-bodied and youthful with a rich and super-ripe sweet core of black fruit, lovely texture and silken tannin depth. Secondary development is starting to appear as cassis, leather and tobacco. A solid core of red and black fruit characters along with loads of white and black pepper, complemented by touches of cocoa and bay leaf, medium density tannins and well-judged oak. Deliciously round and jubey with high octane richness providing loads of velvety softness and persistence. Make sure you click on Follow at www.JackieM.Live and have the Notifications tab turned ON if you want to be notified when I’m livestreaming, so you can watch and interact with me live during the broadcasts.